2. You could perform a Count activity [Mob Management > Count]. 3. 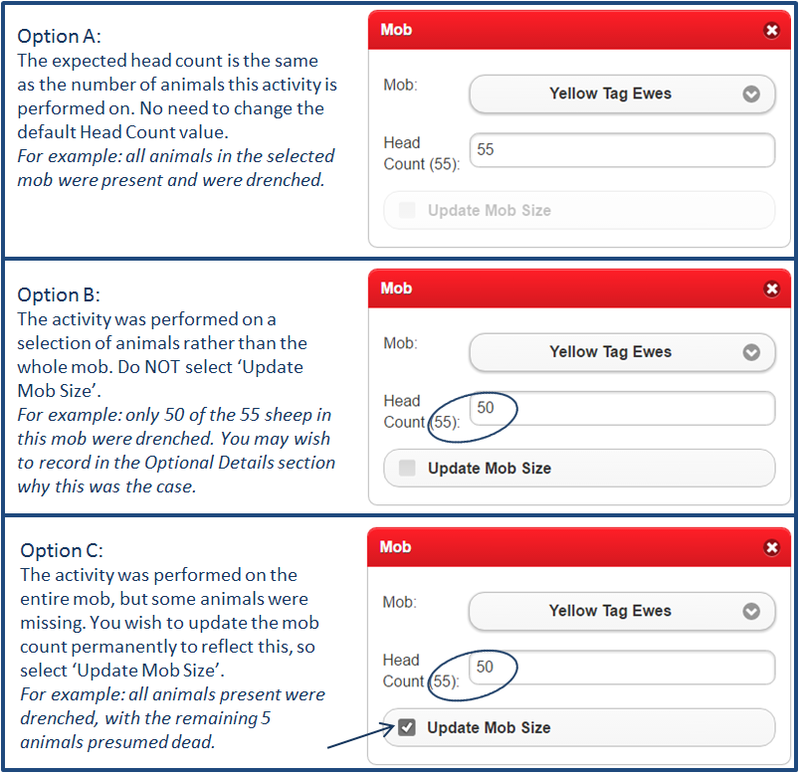 A number of additional Livestock Activities allow you to update the head count as part of the activity, for example Jet [Treatment/Provision > Jet]. 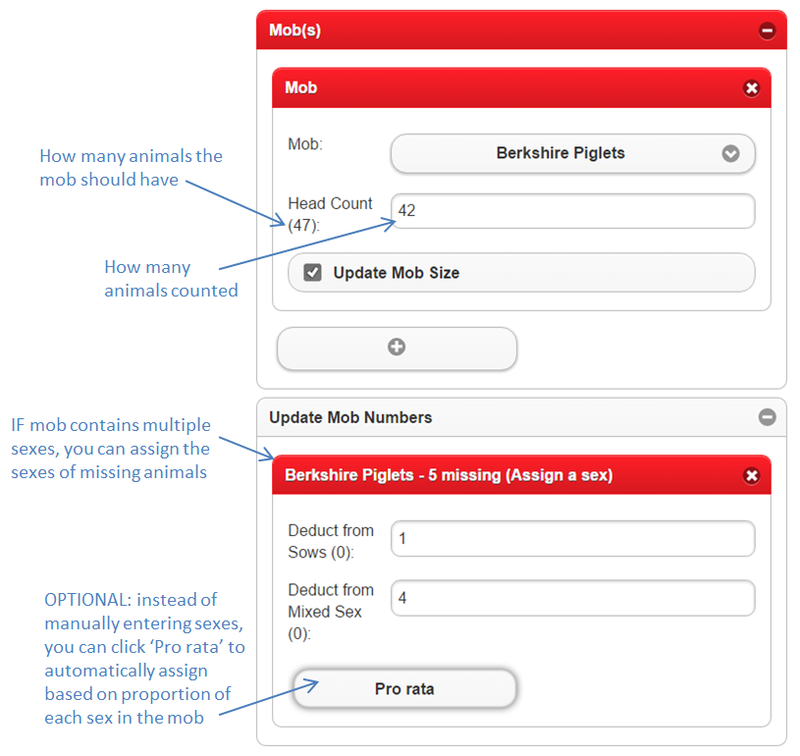 Make sure you tick 'Update Mob Size' if you wish the new count to be saved. Note: If you have multiple sexes in a mob, you will be asked to assign the sexes of missing animals. The Stocking Rate report (Reports > Stocking Rate) is a powerful tool for managing grazing on your property. It calculates grazing density based on the paddock size and the animals located there, and the resulting figure can be used for comparison with other farms or be tracked over time. Farmware uses average DSE (Dry Sheep Equivalent) figures to calculate grazing density, but to improve accuracy you can set your own DSE values to reflect the breeds you have on your farm. 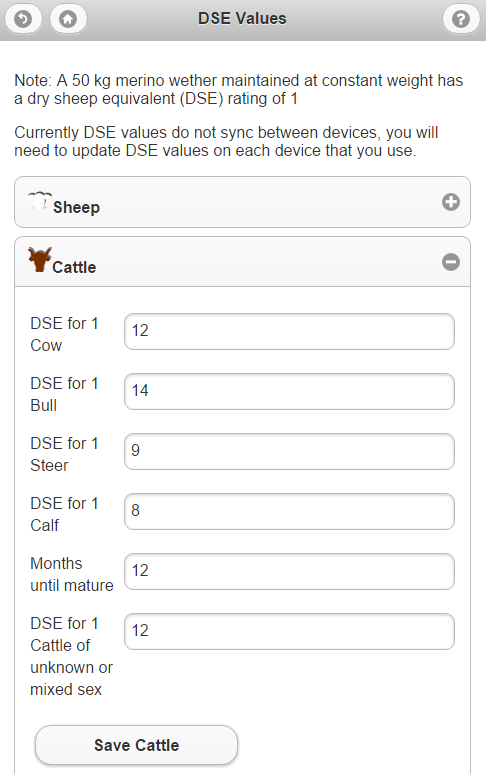 Go to Settings > Stocking Rate Setup to adjust the DSE values for all standard livestock types stored in Farmware (sheep, cattle, goats, pigs, horses, alpacas and deer). Do you ever get “farming deja vu”? Didn't I only JUST do that??? 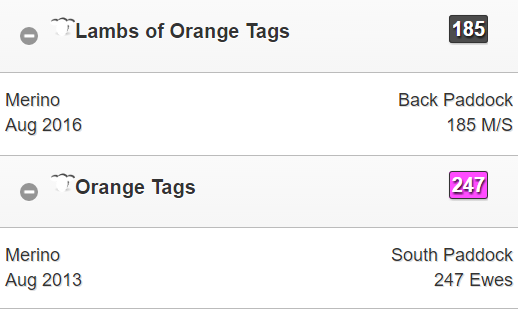 You can save time entering details of frequently performed activities in Farmware by creating a set of Planned Activities. For example: next time you create a Paddock Activity to apply fertilizer, scroll to the bottom and click on 'Future Activities'. You can create one or more Activities planned for future dates, and the details you entered today will be remembered for next time (and you can edit them later if required). You can find Planned Activities on your Planner, or in the relevant module (for example, Paddocks > Planned Paddock Activity Summary). 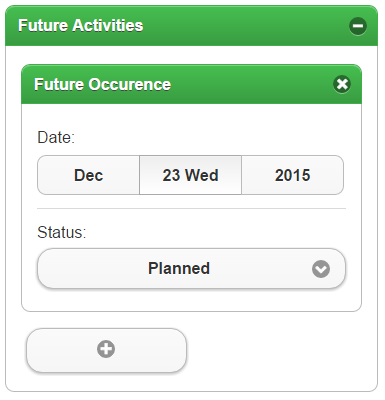 Once you have finished a Planned Activity, you simply edit and set the status to Complete.